Establishing yourself as a solid candidate for an apartment is important, especially when you find the apartment of your dreams. 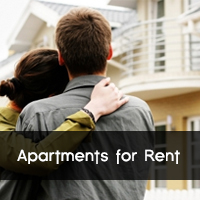 You have to be able to differentiate yourself from the other people applying for the apartment – in a positive way. Having a solid credit score, but more importantly, a solid credit report, is one of the keys to your success in finding a new apartment. Please note: The guidelines discussed in this article apply to the properties I handle leasing for, in the Buffalo, NY, Amherst, NY, Williamsville, NY, and Grand Island, NY areas. There is even some flexibility on a complex to complex basis, so please keep these in mind as GENERAL guide lines. So, what is a credit report? A credit report is an organized list of all of a person’s credit related activities, broken down by account. It is updated monthly with balances, late payment notices, collection accounts, hard inquiries, contact information, and much more. Credit reports can be obtained from all 3 bureaus (Equifax, Trans Union, and Experian) at www.annualcreditreport.com once a year for free. By pulling one bureau’s report every 4 months, credit can be checked up to 3 times per year for free. A credit score is a number value assigned to a credit report, based on repayment history, debt to available credit ratios, length of time accounts have been open, and much more. 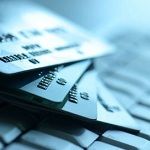 The process of exactly how the number is calculated is kept fairly secret, but the most recent information provided at MyFICO.com states that it is based 35% on payment history, 30% on amounts owed, 15% on the length of time credit has been established, 10% on new credit, and 10% on types of credit used. What are the credit red flags that will impact rental ability? 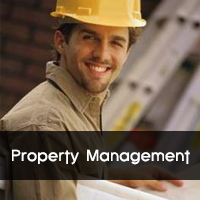 Every landlord or property manager looks at things a little bit differently. Several factors are taken in to account, some of which have nothing to do with credit! 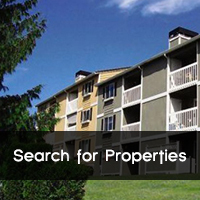 First and foremost, having a secure job and a solid rental reference will help significantly when hunting for an apartment. Landlords want to know that a tenant can pay not only the security deposit and first month’s rent, but also the rent EVERY month! The overall credit score is a good place to start. The higher a credit score, the better. Scores range from 300-850, with about 60% of the country falling between 650 and 799. The median score in the United States is a 723. Improving other factors on your credit report is a great way to improve an overall score. The number of positive and negative accounts open is an important factor to consider as well. Generally the number of positive accounts isn’t as important as the number of negative accounts. Positive accounts show the ability to have and manage credit appropriately, but negative accounts impact more deeply by showing the inability to handle credit. An account would show negative if it is overdue, over limit, or has gone to collections. The debt to available credit ratio factors in as well. Someone with plenty of available credit will generally rank higher than someone who is near the credit limits on their accounts. Being OVER the credit limit on an account is automatically a red flag. When a credit report is pulled, it shows the name of the creditor, when the account was opened, the limit, the balance, the high balance, any past due amount owed, and the status of the account (current, over due, closed, etc). These accounts will all be looked at to determine an applicant’s credit worthiness. Seeing collection accounts on a credit report can sometimes be a red flag. Many landlords tend to be more lenient toward medical collections, but look more strongly on utility collections, phone bill collections, cable/satellite collections, and other types of collection accounts. A utility collection is a major red flag because a utility can’t be established in that persons name until the collection account is cleared. Most rental applications are turned down on that basis alone. Be proactive when discussing credit with a landlord. Having perfect credit is nearly impossible in this economy. However, showing that steps have been taken to improve a credit score will help significantly. Some landlords will also be willing to overlook credit issues if the applicant is willing to pay additional rent or security deposits up front. If an application for an apartment is denied because of credit, the landlord or property manager is required by law to mail a letter with the reason why, as well as provide contact information for the bureau which provided the credit report. This letter can then be used to obtain a free copy of the credit report from that bureau. Knowing what your credit looks like before you go hunting for an apartment can save you a lot of headaches in the long run. Be ever mindful of your actions, and how they can impact you. Doing so will help ensure you have good credit, and the ability to grab that great apartment!